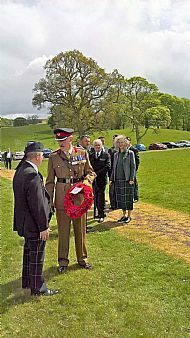 Cameronians (SR) and Families Association | Cameronian Day 2017. Sunday 14th of May 2017, Cameronian Day falls on a Sunday, 7am Edinburgh Castle a different flag is flying above the castle? 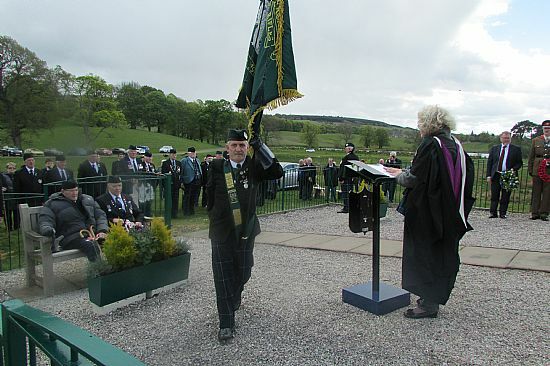 Those who have a knowledge of Scottish Regimental history will recognise the green, black and blue verticals strips with a badge of a star, a bugle surrounded with a spray of thistle leaves with ten thistle heads, the number 26 in a corner nearest the pole and the number 90 to a corner of the outer edge as the flag of the Cameronian Regiment, disbanded 49 years to the day previously. 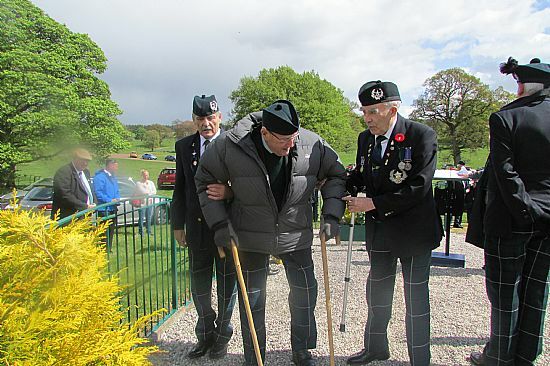 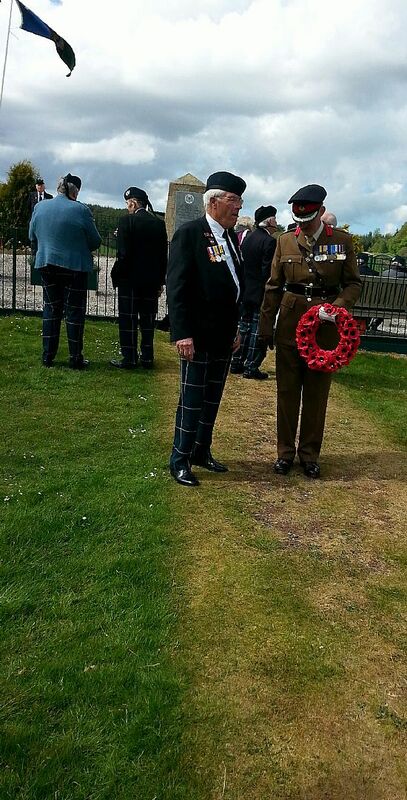 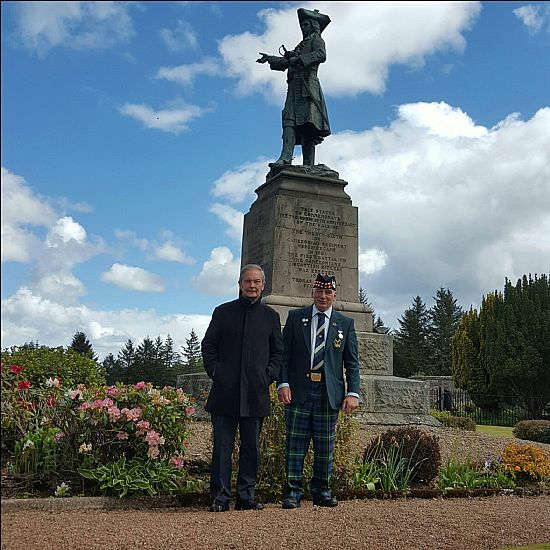 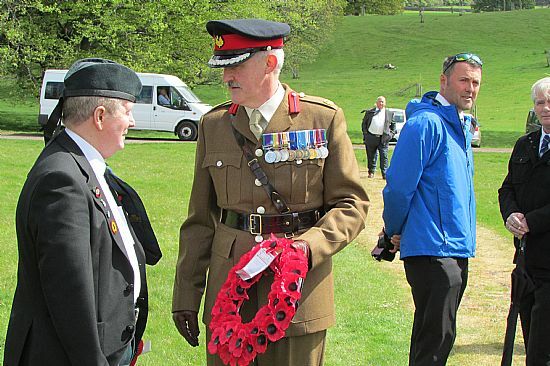 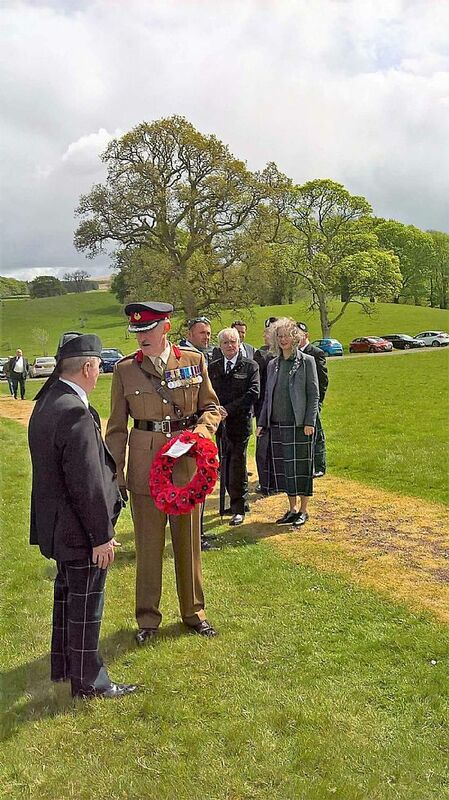 Each year on the 14th of May the Royal Regiment of Scotland remember the Cameronians. 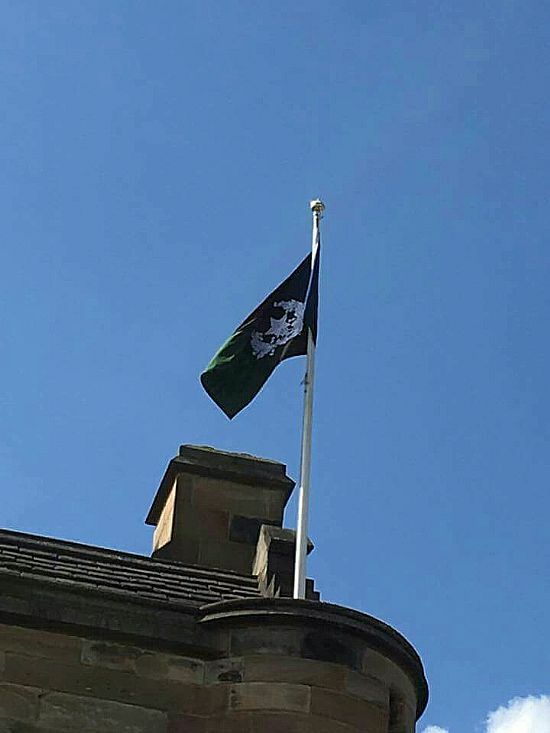 9 31 a.m. in the village of Douglas in rural Lanarkshire the same flag has been raised and flies proudly once more of the village where the regiment was both raised and disbanded. 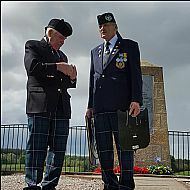 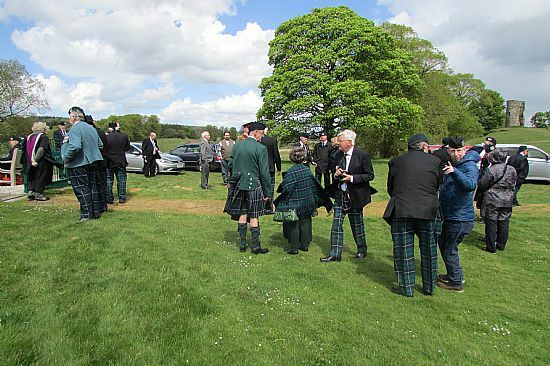 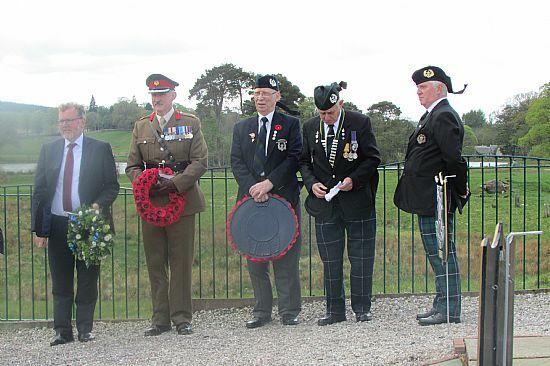 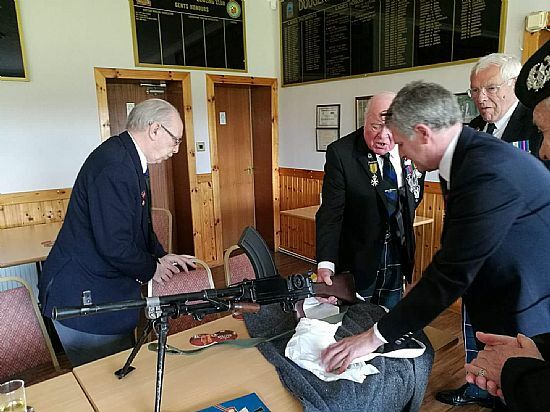 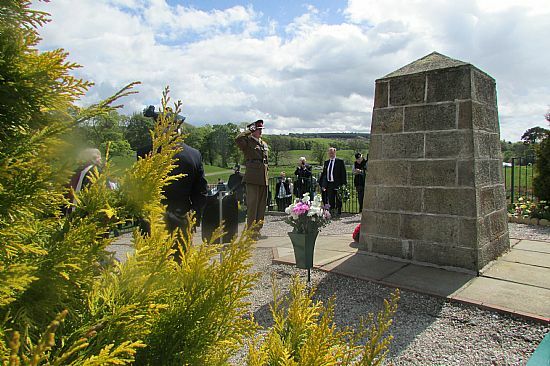 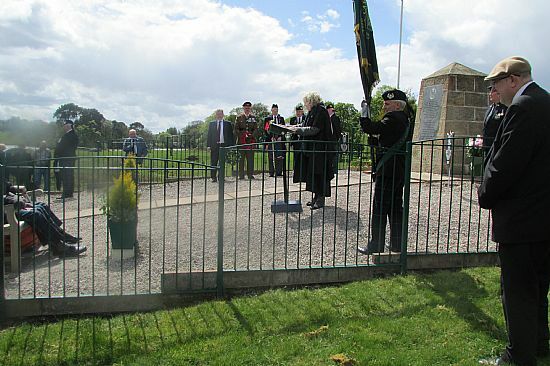 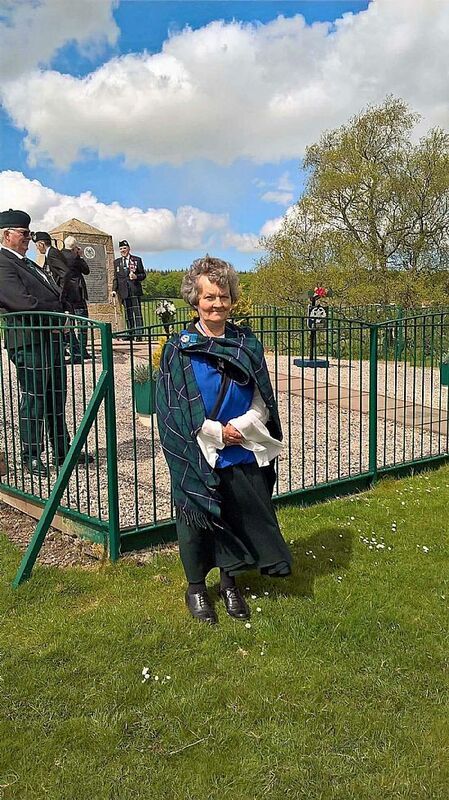 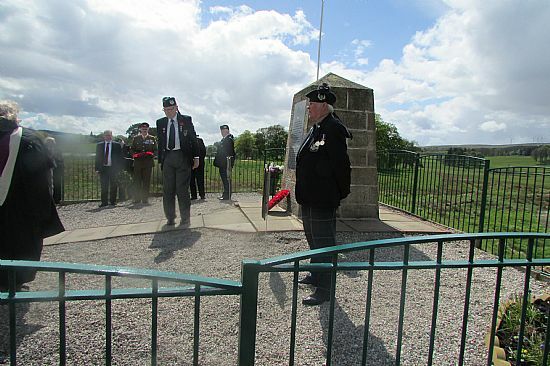 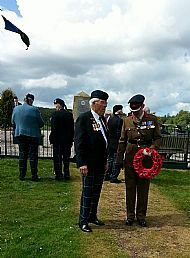 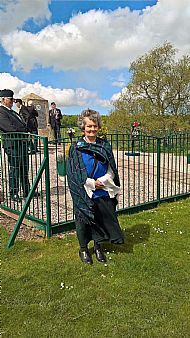 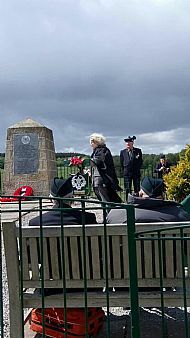 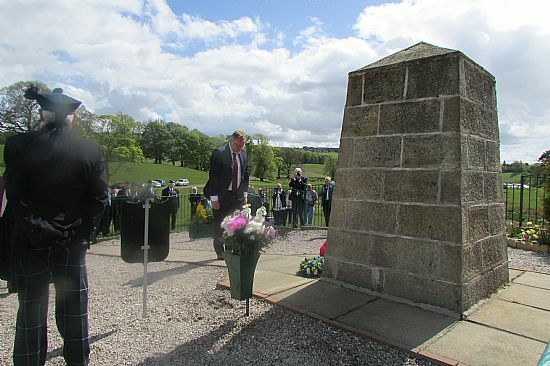 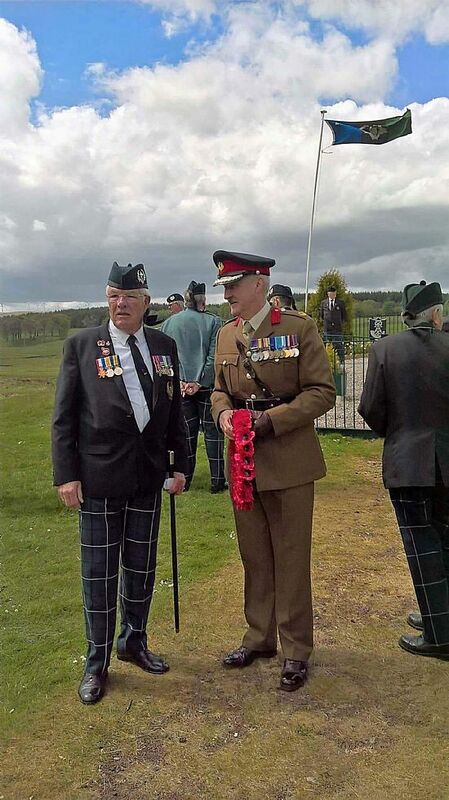 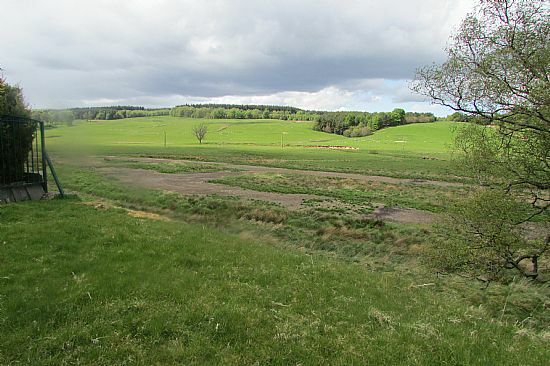 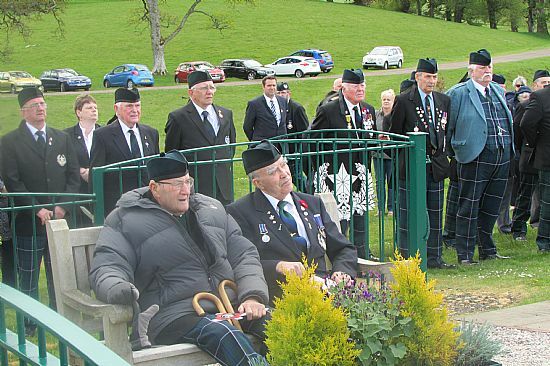 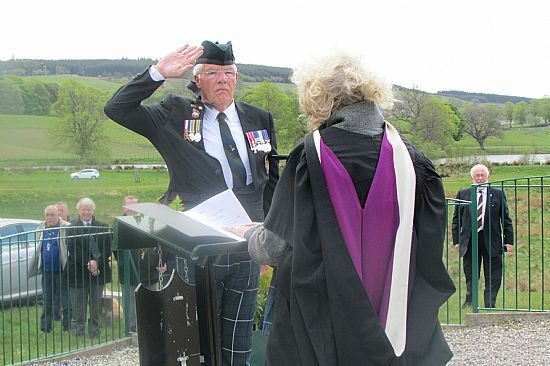 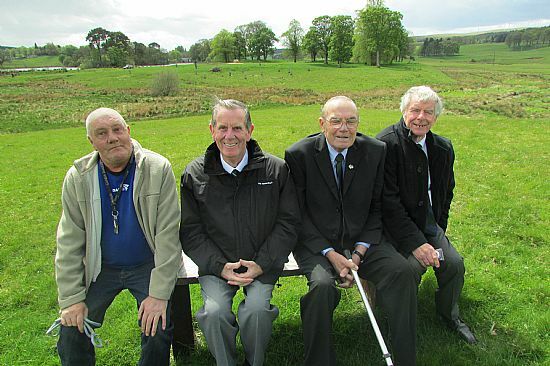 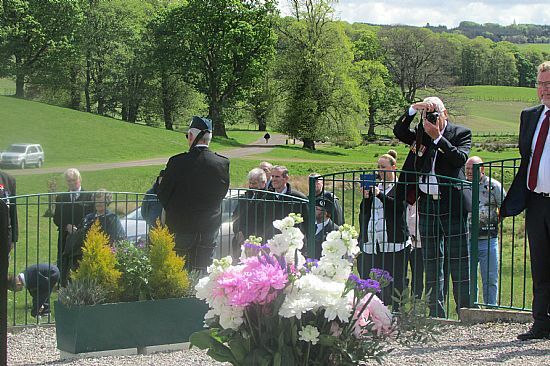 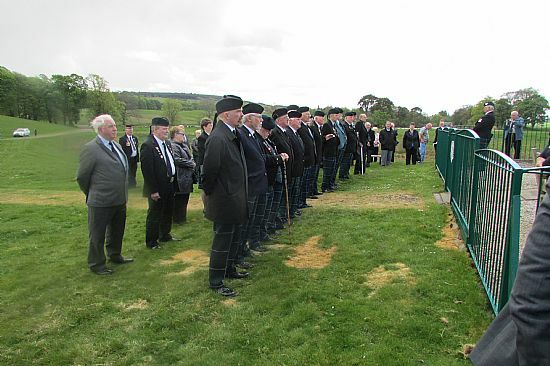 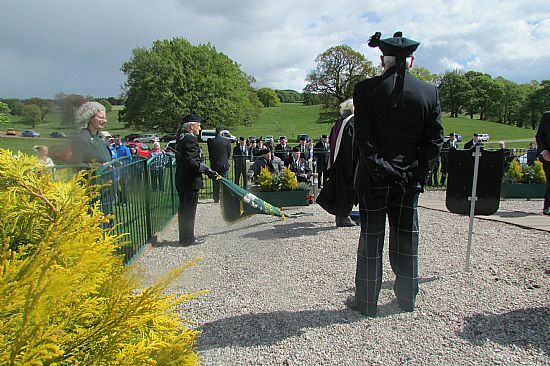 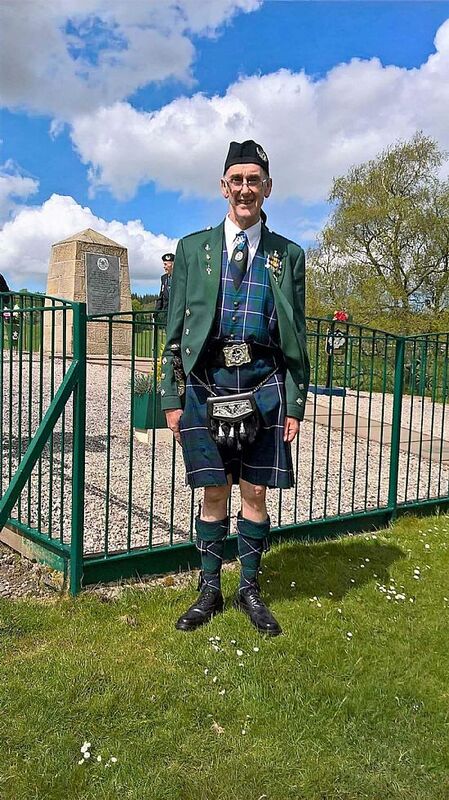 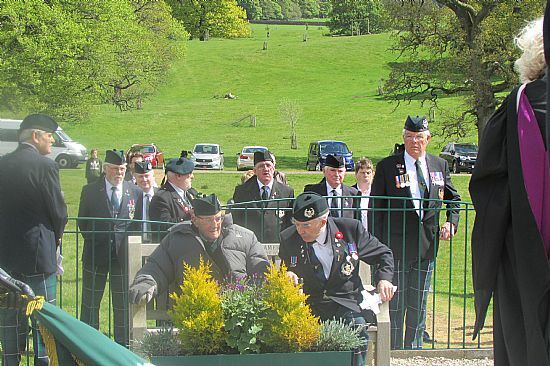 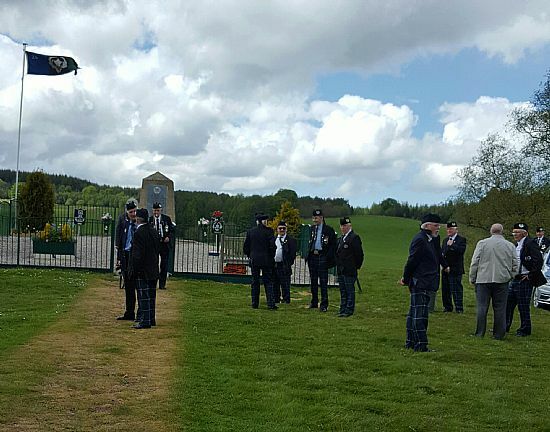 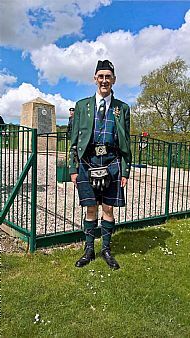 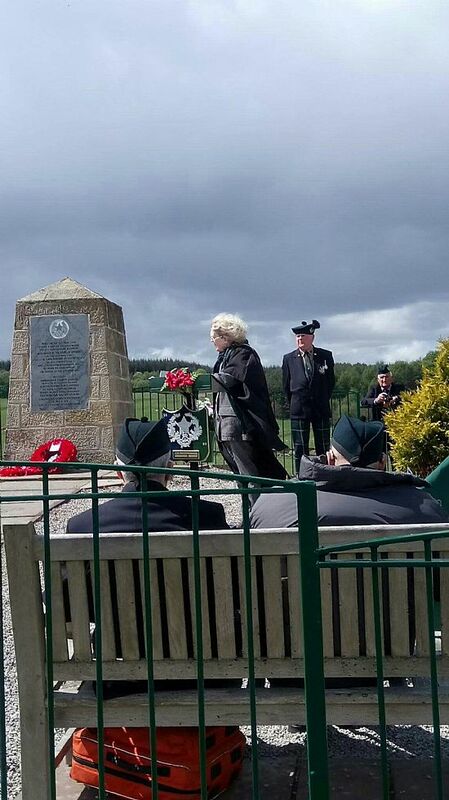 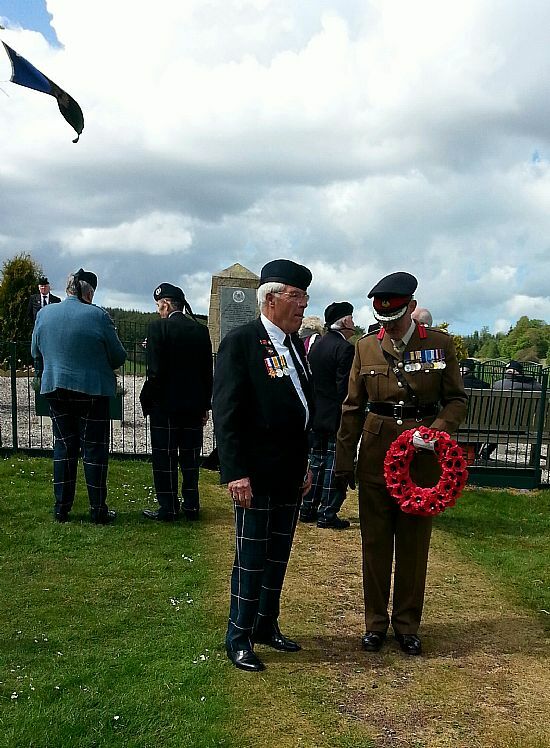 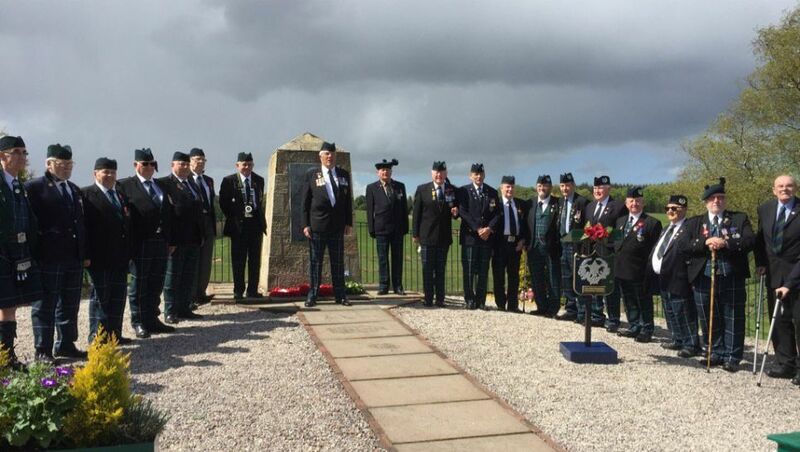 Cameronians gather throughout the day to remember their regiment by holding a Presbyterian open air service of worship by the regimental Cairn as carried by their ancestors many years ago. 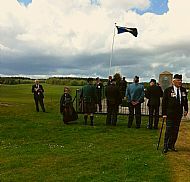 Ready to fly once more over Douglas. 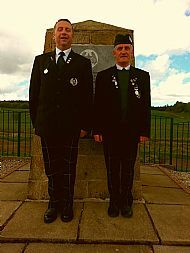 Rev Nancy Norman, Andy Steel as piquets. 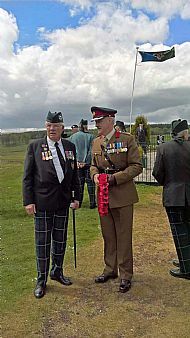 Col Bill Thompson and Alex Maxwell. 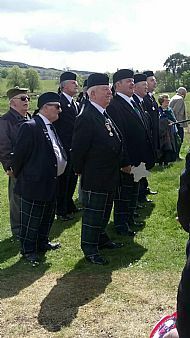 Youtube link to some videos on the day.